CDW grants you a limited license to access and use the applicable Site, including to display, copy, distribute and download its content, only for your personal, non-commercial use and provided that you do not modify the Site, its content, or any copyright or other proprietary notices. This license terminates automatically if you breach any of these terms and conditions of use. Upon termination, you must immediately destroy all copies in your possession. Except as expressly authorized above, you may not copy, modify, distribute, download, display, transfer, post or transmit the Site or its content in any form without CDW's prior written permission. The following activities are also expressly prohibited without CDW's prior written permission: any non-personal or commercial use; use of any robot, spider, other automatic device, or manual process to monitor or copy a Site or any of its content; "mirroring" a Site or any content on any other server; collection or use of product listings, descriptions, or prices for a supplier of competitive or comparable products; and any action that imposes an unreasonable or disproportionately large load on a Site or otherwise interferes with its functioning. You may not post or transmit any threatening, defamatory, sexually graphic, inflammatory, profane or other inappropriate material. CDW reserves the right to edit or remove any post or transmission that, in its judgment, is not appropriate. CDW has made every effort to present the content each Site accurately, but additions, deletions and changes may occur. Content on a Site is provided "as is"; neither CDW nor its representatives make any representation or warranty with respect to the content. CDW and its representatives specifically disclaim, to the fullest extent permitted by law, any and all warranties, express or implied, relating to a Site or its content, including but not limited to, implied warranties of merchantability, completeness, timeliness, correctness, noninfringement or fitness for any particular purpose. CDW grants you a limited, revocable, and nonexclusive right to create a hyperlink to the home page of each Site so long as the link does not portray CDW or its products or services in a false, misleading, derogatory, or offensive matter. 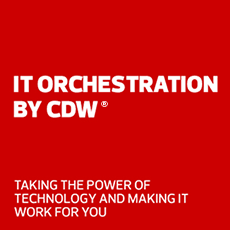 You may not use the CDW logo, CDW trademark, or CDW's name or trademarks, or other proprietary graphic in the link without the prior written permission of CDW. The material provided on each Site is protected by law, including, but not limited to, United States copyright law and international treaties. The copyright in the content of each Site is owned by CDW or others. Except for the limited rights granted above, all other rights are reserved. Each Site is controlled and operated by CDW from its offices within the United States. CDW does not represent that a Site is appropriate or available for use elsewhere; access to a Site from locations where its contents are illegal is not authorized. If you access a Site from outside the United States, you do so on your own initiative and at your own risk.